A productruling from the Australian Tax Office (ATO) was made public yesterday,signalling that the new financing outfit Future Films Australia is officiallyopen for business in a market not previously renowned for attracting privateinvestment into film. The rulinggives more momentum to Future Films' search for both high net worth individualswho are potential investors and wholly Australian films or co-productions withsubstantial presales and quality distributors attached. The intention is toprovide 100% of the financing for films that will probably be in the $3.7-$18.6m(A$5-$25m) budget range. FutureFilms announced its arrival back in September 2004 but it has taken this longto secure the product ruling. The documentation of the investment and borrowingstructures pertaining to the ruling, however, will act as the template forsatisfying the ATO and meeting the requirements of investors for all futurefilms. "Themethodology we are using is new to Australia and very complex," Future FilmsAustralian director and former barrister Sam Gullottatold Screendaily.com. It has beendeveloped with Tim Levy and Stephen Margolis of the Future Film Group in the UK, who are also directors alongsideJas Sekhon, Gullotta'spartner in the Goldstream Capital Group. Goldstream has been offering tax effective capitalguaranteed financial products since 2000. Productrulings do not sanction or guarantee tax products but they give potentialinvestors certainty by confirming that the tax benefits offered are acceptableto the ATO providing arrangements are carried out as stipulated. Anyinvestments in Future Films will be locked to a particular film, rather than aslate, and a ruling will be secured on each. Although there is no formal dealbetween the producers and Future Films, yesterday's ruling specifically appliesto Hey, Hey, It's Esther Blueburger and states that the budget is about $5.2m(A$7m.) By coincidence, the coming-of-age drama also got a production go-aheadfrom government investor Film Finance Corporation Australia (FFC) yesterday. "We havebeen in discussion with Future Films about their proposed structure for a year,but in order to get FFC funding we secured a group of private investors forabout 24% of the budget," said executive producer Heather Ogilvie. "Now that Future Films has their ruling we are in discussions about how tobring them and our investors together." Gullottaconfirmed that commercial discussions would now occur. A year agoLevy said he expected the new company to support films with a total productionbudget of $112m (A$150m) in the first year and become the most prolific productioncompany in Australia. The delays have made Gullotta a little more circumspect. He is also holding backtalking specifically about the level of investor interest and projects untilJanuary when he will be part of the business showcasestaged annually in LA by the Australian Government. He isseeking films not just in Australia but also in the UK and the US because he believes there are manywritten by expatriates or with sufficient Australian elements to qualify. 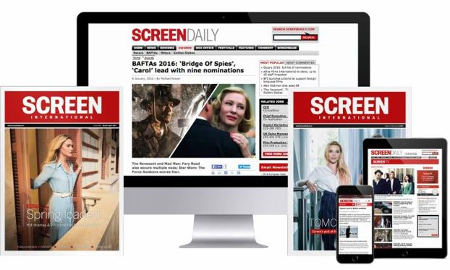 CarolaAsh from Future Films is the main contact in the UK and Screen Capital Internationalmanaging director David Molner in the US is also involved. "We are inthe business to do well financially but we are also on a mission to create aviable Australian production sector and are very committed to the Australianindustry," said Gullotta.